I’ve been riding my bike for more than a year now and ever since I bought this mountain bike Cannondale Trail 7 (re-vamped) almost 60% of my commute life is now via this non-expensive-2-wheels-motor-less ride. Well, to talk about commuting, I spend every weekdays going to and leaving the office thru my bike and my weekends in some of planned short / long rides around the metro. First, we do no t need to allocate a big chunk of our government’s budget to paint every city a bike lane. 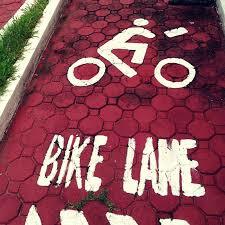 Yes, I am a biker that do not want a bike lane? I am being hypocrite, right??! Well, I think what Filipino drivers, both public and private, need is to be educated about the presence of the bike at the side of the road. As the Tag line of UFB(UNITED FOLDING BIKES) shouts “Share-the-Road.” When I got my Driver’s license, I do not remember anything or any phrase about bikes/bikers. If only 1 or 2 questions about biking is present in the 30-ish items on the written exam, at least a soon to be driver will be aware what to expect if he/she is behind/beside a biker on the road. In addition to, a definite distance between a biker and the car must be maintained inorder for the bike rider to avoid panic attacks especially if the car is approaching from behind. Filipinos are smart so I think including some bike pointers on its written exam / reviewers will have a big impact on the bike society. Some warning signs that reminds the drivers to pay more attention on the road. 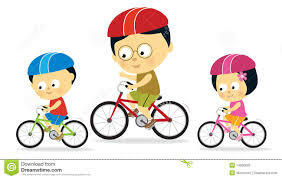 Second, about the advantages of biking, it helps the rider to be physically active. Leg power thus stronger legs. Serves as cardio exercise, stress reliever, etcetera. Well, if you are enhancing the ‘physical’ part of your life it will be a win-win for you! Third,bikes are for kids! Yes it is! We all owned or at least try to ride a bike when we were kids, that’s it. Today, at the age of 23, after owning a beginner’s bike, I think biking is only for professionals who’s career is dedicated to biking. Why? Because in order for you to have a decent (fully upgraded) bike, you must stretch your wallet from P100k and up. Yes! I bought mine in just for the sake of “owning” a bike but a lot of upgrades must be done for me to be fully contented with the settings of my bike. Of course the more money you spend on your bike, the easier it is for the biker to ride his bike in different terrains. Fourth, ride your bike or your car? Of course most of the people would chose to ride their car since its a CAR! Well, for me it depends on where to go and what to do. If you are going to a party with all of your formal clothes, get in your car! But for daily and short commutes, a bike ride would be fine. Especially around the metro, the traffic is almost everywhere and anytime. My travel time in my bike-to-work logs is averaging to 15minutes bike ride of 4.5kms. But it will take me atleast 30minutes if driving a car and maximum of 1 hour if I do the commute ride. See, biking can shorten my travel time not including the “no fare expense” if I use my Mountain Bike. Fifth, in productivity concerns, that is a hoax. A lot of married-couple-bikers have their “own”children. Sixth, lastly is the knowledge about bike. I chose this as a top deal breaker in buying a bike. Even after I decided that I will definitely buy a bike, still the knowledge of what to buy, expect, usage, safety and many more concerns me. After having my marked money (hahah), I studied all about bikes’ stuff for almost a month. What I have in mind is a mountain bike but what are the things I actually know about it? What will I do if I did not like biking? I did not think much of it because I know it myself that I want to ride a bike. I just joined bike groups and or [pages on facebook. The www.pinoymtbiker.org really helped me a lot! If you are thinking on grabbing a bike, just scroll some of the beginners’ topic there. I become exposed to different bikers. It was like entering a network of bikers thus connections to bike events, bike rides, trail ride, bike tips, riding techniques, and many more. As a driver, I become aware of biker’s presence at the road. Just share the road, SERIOUSLY! Bikers are all friendly so expect to have a load of new friends every ride! Bragging rights. 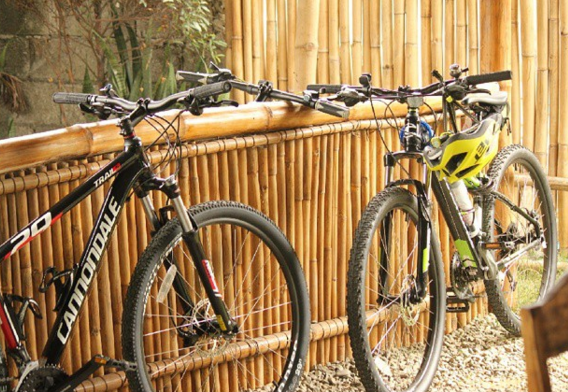 Everyone can go to baguio via private vehicle / van / bus, but a bike? Not everyone can do that. Leg power, my legs are more flexible and stronger now compared before. Yay! I use my bike in some of my errands. No plans for a day? Just ride your bike and see where it can get you. Along Eastbank Road – Floodway, I experienced this “walang hiyang taxi driver” on my way to office. I just passed a taxi (on my left) – nagmamabagal sya, nag hihintay siguro ng papara na pasahero (supposedly on the right side of the road). At may “potential passenger” sa right side ko at nakikita kong pinapara sya, so nag mabilis ako para malagpasan yung passenger, as I am just passing this “potential passenger” of the taxi, biglang nag mabilis yung taxi at ki-nut yung line ko (its my right of way, ako nasa harap, yung taxi nasa likod ko) just to attend dun sa passenger na katapat ko. I had to fully squeezed my breaks para hindi mag touch yung gulong ko sa taxi. Nag skid ang gulong ko for 5seconds. Sya pa galit! WTF! After maisakay si passenger nag harurot yung taxi, hinabol ko at alam kong may stop light sa dulo, binalibag ko yung (right) side mirror nya and I just pedalled my way papasok sa mga iskinita. Wala syang nagawa dahil sa traffic. Nag rush ang mga dugo ko dahil sa kaba good thing is nag revert back naman yung side mirror nya. LOL! What I did was wrong pero hindi malalaman ng taxi driver kung ano mali nya if I keep my silence. I trully believe that we need to re-educate our licensed drivers. Use flashing front and rear lights when riding at night. Check the gears and brakes before and after riding your bike. Buy a good Quality bike lock chains for your bike parking. Avoid doors! Car doors, a lot of drivers do not look at the side mirror before opening their door. 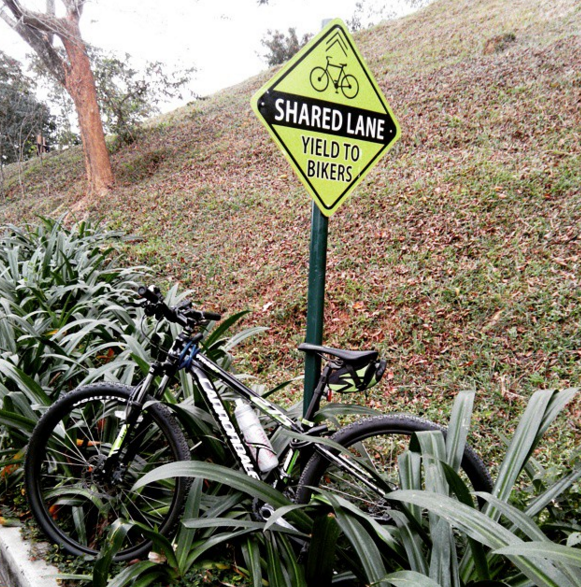 To all the bikers, do our part, PLEASE do not maneuver your bike RECKLESSLY. SRSLY!! There are bikers that just turn their handle bar as their please! Look and signal before you turn!! Do not use earphones when riding. Our sense of hearing serves as a balancer and side mirror to us! In driving, keep a distance away from a biker, Bikes do not have “signal lights” whether they are slowing.down or not, just be attentive.